Transform any used pop can into a mean bug-eyed robot machine! The 4M Tin Can Robot is a fantastic way to challenge your kid’s imagination all while teaching him/her the value of recycling. 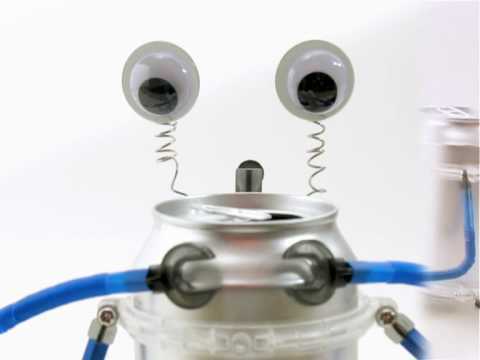 Just take any ordinary soda can and transform it into an awesome (and functional) robot. Just supply the soda can, standard Phillips screwdriver and 2 x AAA batteries and then just go through the easy-to-follow instructions and your robot will come alive in no time. Looking For Something Different Than A Tin Can Robot? Check out our SHOP for other gift ideas!